Used widely for the luggage case, furniture, hand trolley, shopping cart, appliances equipments and kinds of industrial equipments. Please measure the size of your instrument to make sure it fits before ordering. Easy and convenient for installing, durable and practical cart wheel, can bring you convenience for goods and luggage carrying. 1.Due to the light and screen setting difference, the items color may be slightly different from the pictures. If you need a very precise size, please buy carefully. 2.Please allow 2%-3% error due to manual measurement. 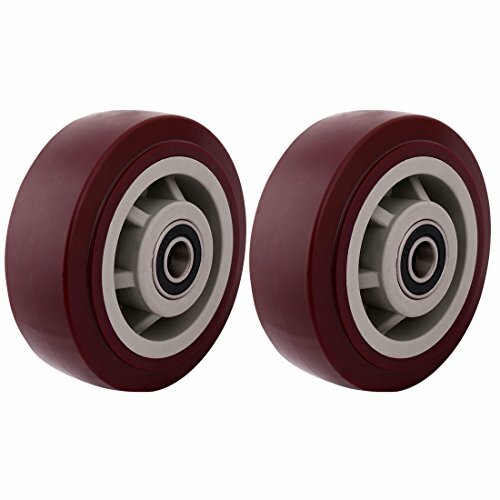 Package Content: 2 x Caster Wheels; Bearing Inner Dia: 15mm/0.6"